Around twelve crore agricultural households will receive Rs 6,000 per year in three installments, Piyush Goyal said in his budget speech. Farmers in Telangana. Credit: Charan Teja P.
New Delhi: Presenting the last budget before the 2019 general elections, Piyush Goyal, the stand-in finance minister, announced a direct income support for small and marginal farmers who own less than 2 hectares (5 acres) of land. Around 12 crore agricultural households, Goyal said, will be given an income support of Rs 6,000 per year. The scheme will be entirely funded by the Central government. They will receive the money in three instalments over the year. The first instalment will be transferred in the current financial year, for which Goyal allocated Rs 20,000 crore. Subsequently, in the 2019-20 FY, the Pradhan Mantri Kisan Samman Nidhi scheme will cost the Centre Rs 75,000 crore. Interestingly, the scheme stopped short of mentioning any income support for the 10 crore landless agricultural labourers in the country. This number has been on the rise in recent years. Between census 2001 and census 2011, a large number of farmers switched to being agricultural labourers. To put this in perspective, the Rs 6,000 per year income support for small and marginal farmers is less than the benefit under the Rythu Bandhu scheme in Telangana and the Kalia scheme in Odisha. Under the Rythu Bandhu, farmers receive Rs 8,000 per year per acre of land holding. Under the Kalia, farmers receive Rs 10,000 per year. Landless agricultural households also receive Rs 12,500 per year. 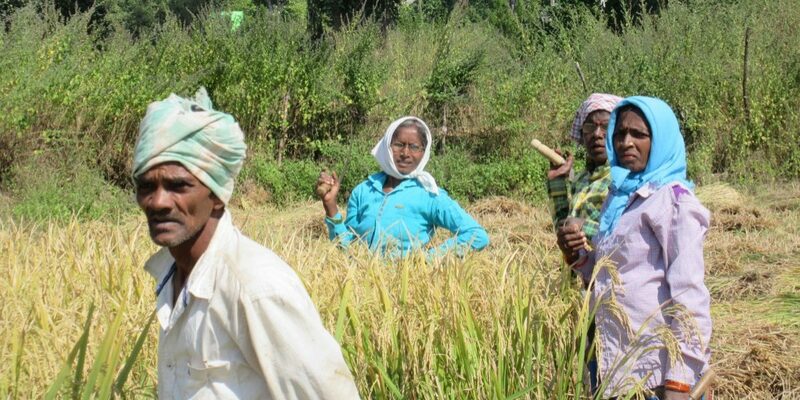 While the scheme in Telangana is extended to all farmers, the scheme in Odisha and the one announced by Goyal are limited to small farmers (those with landholding less than 2 hectares of 5 acres).